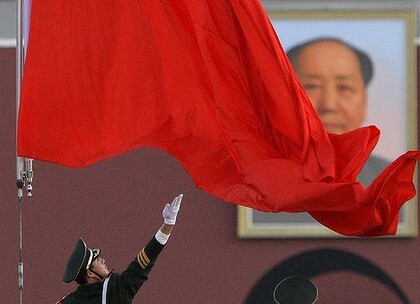 BEIJING, Aug. 17 (Xinhua) — President Hu Jintao said Friday that China is ready towork with the Democratic People’s Republic of Korea (DPRK) to lift their traditional friendly and cooperative relationship to a new level. 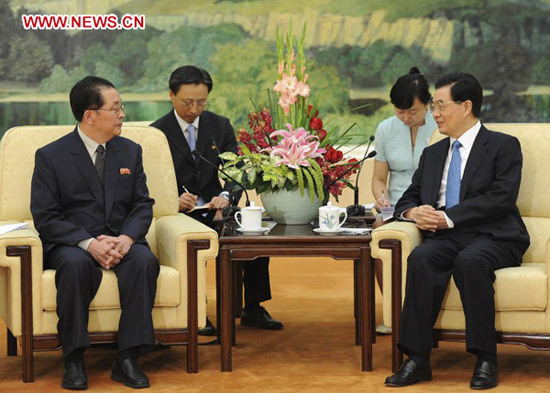 Chinese President Hu Jintao (R, front) meets with a delegation of the Democratic People’s Republic of Korea (DPRK) headed by Jang Song Thaek (L, front), chief of the central administrative department of the Workers’ Party of Korea (WPK), in Beijing, capital of China, Aug. 17, 2012. 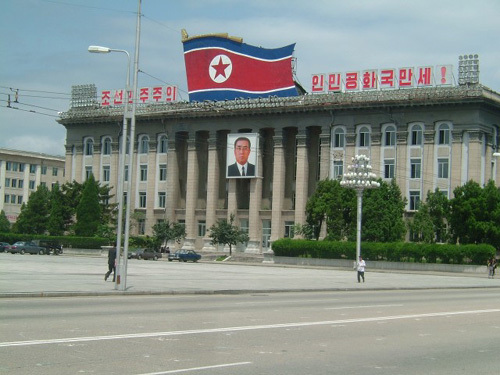 Hu made the remark as he met with a DPRK delegation headed by Jang Song Thaek, chief of the central administrative department of the Workers’ Party of Korea (WPK).